I'm SHAMELESS! - Enter For A Chance To Win A Shameless #Gallavich Prize Pack! Home/Entertainment/I’m SHAMELESS! – Enter For A Chance To Win A Shameless #Gallavich Prize Pack! Enter For A Chance To Win A Shameless #Gallavich Prize Pack! 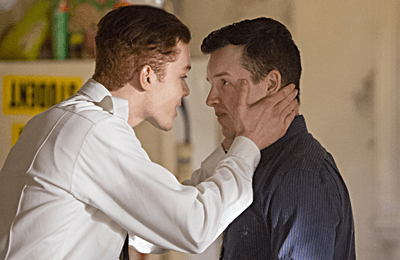 If you’re as big a fan of the hit Showtime Original Series Shameless as we are, you’re dying to find out what Season 5 has in store for our favorite gay couple, Ian Gallagher & Mickey Milkovich (#Gallavich)! Enter for a chance to win a special #Gallavich prize pack and be the envy of fellow shippers! Oscar-nominated William H. Macy and Emmy Rossum star in this fiercely engaging and fearlessly twisted series. Chicagoan Frank Gallagher is the proud single dad of six smart, industrious, independent kids, who without him would be. . . perhaps better off. When Frank’s not at the bar spending what little money they have, he’s passed out on the floor. But the kids have found ways to grow up in spite of him. They may not be like any family you know, but they make no apologies for being exactly who they are. 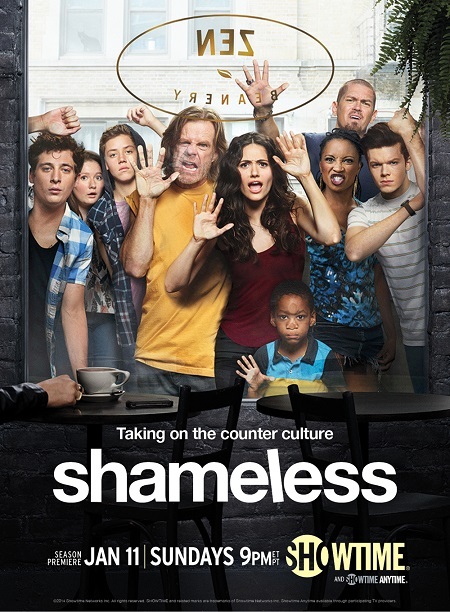 New episodes of Shameless air Sundays at 9 p.m. ET/PT! One lucky grand prize winner will receive a Shameless #Gallavich prize pack including an I ship #gallavich t-shirt, #gallavich emoji t-shirt, #gallavich snapback hat, #gallavich ceramic cup, F**k Off sleep mask, #gallavich hoodie, Shameless duffel bag, Shameless Season 1 DVD, Shameless Season 2 DVD, Shameless Season 3 DVD and Shameless Season 4 DVD. Four runners-up will receive an I ship #gallavich t-shirt, #gallavich emoji t-shirt, #gallavich snapback hat, #gallavich ceramic cup, and a F**k Off sleep mask. Just send an email to will@back2stonewall.com with I’m SHAMELESS in the subject line. Winners will be picked at random Sunday January 18th, 2014 @ 10:oo pm EST! BY ENTERING THE SWEEPSTAKES, ENTRANTS RELEASE AND HOLD HARMLESS SHOWTIME NETWORKS INC. AND EACH OF ITS RESPECTIVE PARENTS, DIVISIONS, AFILIATES, SUBSIDIARIES, AGENTS AND ADVERTISING AGENCIES FROM AND AGAINST ANY AND ALL LOSSES, DAMAGES, RIGHTS, CLAIMS, AND ACTIONS OF ANY KIND ARISING IN WHOLE OR IN PART, DIRECTLY OR INDIRECTLY, FROM THE SWEEPSTAKES OR PARTICIPATION IN ANY SWEEPSTAKES-RELATED ACTIVITY (INCLUDING WITHOUT LIMITATION THE REMOVAL FROM THE SITE OF, OR DISCONTINUATION OF ACCESS TO, ANY MATERIALS), OR RESULTING DIRECTLY OR INDIRECTLY, FROM ACCEPTANCE, POSSESSION, USE, OR MISUSE OF ANY PRIZE AWARDED IN CONNECTION WITH THE SWEEPSTAKES, INCLUDING WITHOUT LIMITATION PERSONAL INJURY, DEATH, AND/OR PROPERTY DAMAGE, AS WELL AS CLAIMS BASED ON PUBLICITY RIGHTS, DEFAMATION, AND/OR INVASION OF PRIVACY. IN NO EVENT WILL SHOWTIME NETWORKS INC. BE RESPONSIBLE OR LIABLE FOR ANY DAMAGES OR LOSSES OF ANY KIND, INCLUDING WITHOUT LIMITATION DIRECT, INDIRECT, INCIDENTAL, CONSEQUENTIAL, OR PUNITIVE DAMAGES, ARISING OUT OF ANY ACCESS TO AND/OR USE OF THE SWEEPSTAKES SITE, THE DOWNLOADING FROM AND/OR PRINTING MATERIAL DOWNLOADED FROM THE SWEEPSTAKES SITE, THE REMOVAL FROM THE SWEEPSTAKES SITE OF, OR DISCONTINUATION OF ACCESS TO, ANY MATERIALS, OR THE ACCEPTANCE, POSSESSION, USE, OR MISUSE OF, OR ANY HARM RESULTING FROM THE ACCEPTANCE, POSSESSION, USE OR MISUSE OF, OR PARTICIPATION IN, ANY PRIZE AWARDED IN CONNECTION WITH THE SWEEPSTAKES. WITHOUT LIMITING THE FOREGOING, THE SWEEPSTAKES, ALL PRIZES, AND ALL MATERIALS PROVIDED ON OR THROUGH THE SITE ARE PROVIDED "AS IS" WITHOUT WARRANTY OF ANY KIND, EITHER EXPRESS OR IMPLIED, INCLUDING WITHOUT LIMITATION THE IMPLIED WARRANTIES OF MERCHANTABILITY, FITNESS FOR A PARTICULAR PURPOSE, AND NON-INFRINGEMENT.